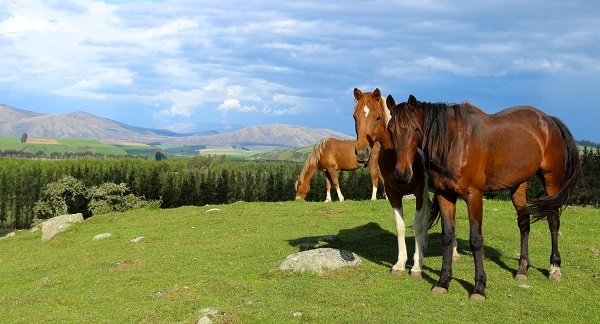 Westray Horse Treks offer an up-close-and-personal view of New Zealand that you won’t find anywhere else. Starting off from the stable yard of a working farm, our treks will take you through green fields, up hills, and to a high point of the Te Anau basin where you will be rewarded with 360 degree panoramic views. More experienced riders will have the opportunity to take their horses to a trot or canter, and all riders will get to take photos of the stunning scenery. 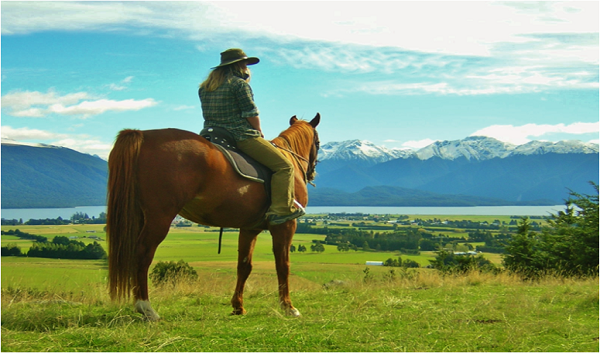 Our experienced guides will teach you about the history of the Te Anau region, and are always on hand to make sure you get the perfect snap of you on your horse. Our rides can last up to 2.5 hours including full safety training. Shorter 1 hour rides are available for novice riders. We can cater for individuals or groups up to 10 people with horses to suit all levels of rider confidence. Beginners and people with no previous experience are welcome - our horses are calm and will look after you. Our client to guide ratio depends on the riders experience (for example, at least 1 guide to 4 beginner riders for maximum safety and comfort). For the more experienced riders we have horses with a bit more spirit so you can have fun too. We can cater for different levels within the group. Please note that this needs to be arranged in advance so you will need to tell us at your time of booking. We provide you with safety equipment and full training to ensure you are comfortable with riding a horse. 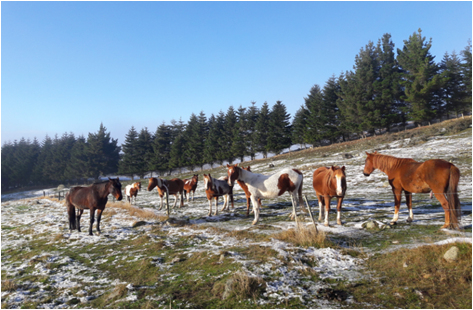 We breed and train our own horses on our farm where they are allowed to roam free on the hills overlooking the lake and mountains. Our owner and operator guides have many years of natural horsemanship experience, so you know that we care about our horses as much as you do. We train all of our horses using natural methods so they can form their own individual characters. What to expect on a horse trek ride? Watch the video!